Oceana has an active surfski paddling community who take advantage of the unique paddling conditions off this spectacular coastline. This coastline is completely sheltered from the prevailing south-easter, and can produce some amazingly fun runs when a south-westerly is blowing. While Oceana is a safe place to launch from, the rest of the Sea Point coastline does not have any safe exit points (except for Three-Anchor Bay). Paddlers need to be stable in their skis and confident that they can quickly remount, should they swim. Paddlers are also urged to be cautious when rounding Mouillie point under a swell. In addition, all surfski paddlers launching from Oceana must have a PFD (Personal Floating Device) and a set of flares. The possession of these will be enforced by OPBC. OPBC has surfski storage containers; racks can be rented by fully paid-up OPBC members at a rate of R300 p.a.. Full OPBC membership is at a rate of R1300 p.a. Through summer, Oceana Surfski runs a weekly time trial from Oceana to Queens and back (10km). The time trial starts at 6pm every Thursday. 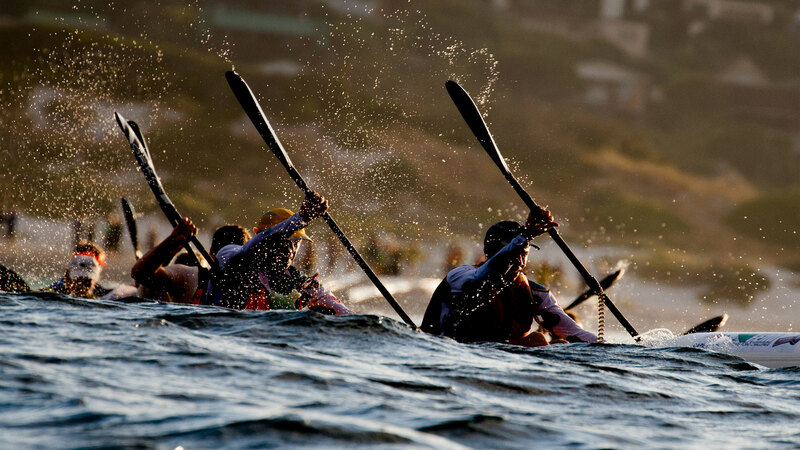 For more information about surfski paddling from Oceana, and to join our mailing list, please visit www.oceanasurfski.co.za.